Amid rumors of supposed production delays, a report on Wednesday claims Apple's forthcoming "iPhone 8" handset is slated for unveiling in September alongside incremental improvements to the iPhone 7 series, but the device won't see launch until late 2017. Citing sources within Apple's Asian supply chain, Mac Otakara reports the company plans to announce "iPhone 8" at its annual fall event, which traditionally takes place in September. The next-generation handset is unlikely to see release with its "iPhone 7s" and "iPhone 7s Plus" stablemates, however, and will instead launch in October or November. Beyond a later than usual debut, there is a high possibility that "iPhone 8" supply will be strictly limited during its initial launch period, the report says. In addition to apparent supply constraints, sources claim the handset's front frame color options will be limited to black. 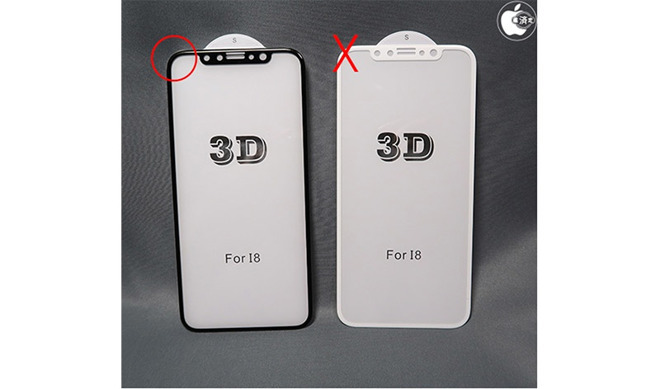 The report appears to refer to iPhone's front cover glass. Contemporary iPhone models sport an LCD display bonded directly to a protective glass cover that comes complete with black bezels formed using specialized ink. Why Apple is unable to utilize white ink on iPhone 8, as it does with current iPhone 7 and 7 Plus models, is unclear. If accurate, the information suggests Apple is either employing a new bezel masking material or is seeing issues with existing paint technology. Alternatively, the company might be looking to implement an all new bezel material never before seen on iPhone. The company faced a similar problem with the iPhone 4 in 2010. That model, the first to feature a "glass sandwich" design, was promised in both black and white color options, though release of the white version was pushed back almost an entire year due to production difficulties related to painting methods and materials. As for Touch ID, the report says 'iPhone 8' manufacturing blanks of the handset's side power button do not contain a hole necessary for a fingerprint module, meaning Apple's sensing technology will likely be implemented elsewhere. 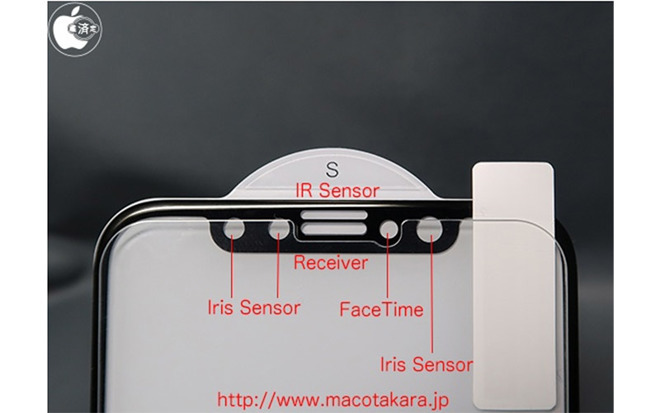 Schematics supposedly leaked from an Apple supplier in April showed a markedly enlarged sleep/wake button, leading some to speculate that Apple plans to move Touch ID from its traditional home button location to the side-mounted control. Citing a Taiwanese supply chain source, the report goes on to cast doubt on rumors that Apple will embed a Touch ID module beneath the handset's display. Instead, sources reiterated reports from February regarding a front-facing 3D-sensing camera, saying there is a high possibility that the advanced technology, which the report dubs "Face ID," will see release this fall. The report claims Apple will augment facial recognition with iris authentication hardware, to be located next to the FaceTime camera. Finally, sources note iOS 11 might include a new auto-sleep feature similar in fashion to the "raise to wake" gesture debuted in iOS 10.